You want an eco-friendly, comfortable and fun way to get to know the city of Valencia? Then Segway Anyway Valencia is the right address for booking your Valencia tour. You can find us in the beautiful old city of El Carmen, with its winding and irritating roads and architectural gems to admire while finding your way to your special Valencia Segway trip. There are several ways to contact us, you can call, visit our website, drop by or find us on Facebook and Instagram. Segway Anyway Valencia offers customized Segway tours for everyone, from the Fun Tour that is as the name suggests perfect fun and short, to the Turia Garden Tour, which leads you to the nine kilometers long former riverbed that is now a beautiful and unique garden. 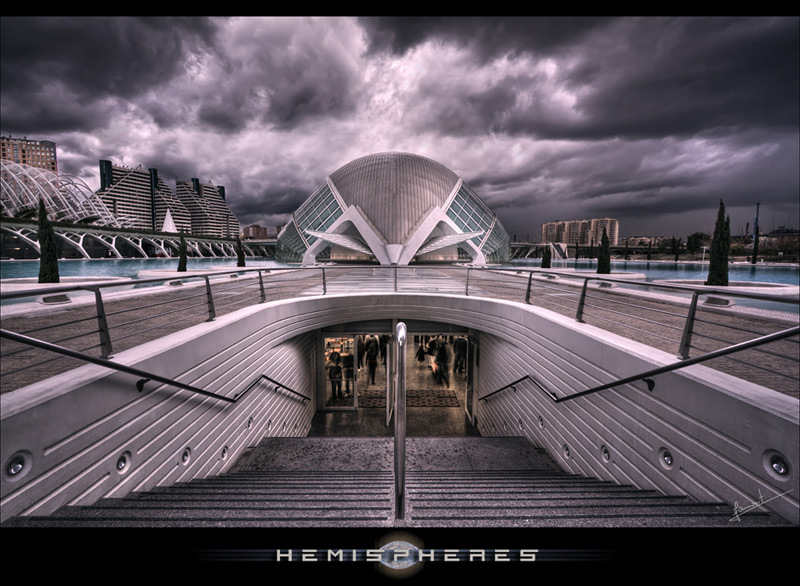 Furthermore, we present the City of Arts and Sciences Tour that focuses on the most popular sight of Valencia and the Cabecera Park Tour, which leads us to the very end of the Turia Gardens. 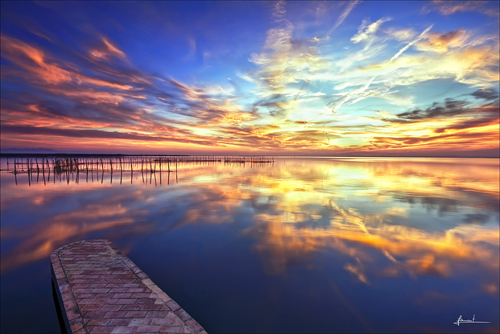 If you want to breathe in the salty air of the sea, our Valencia Seaport Tour is the right Segway trip for you. We don’t stop showing you the city when the day ends and the night unravels its special atmosphere. Just let us show you the glamour of the night in this beautiful city. 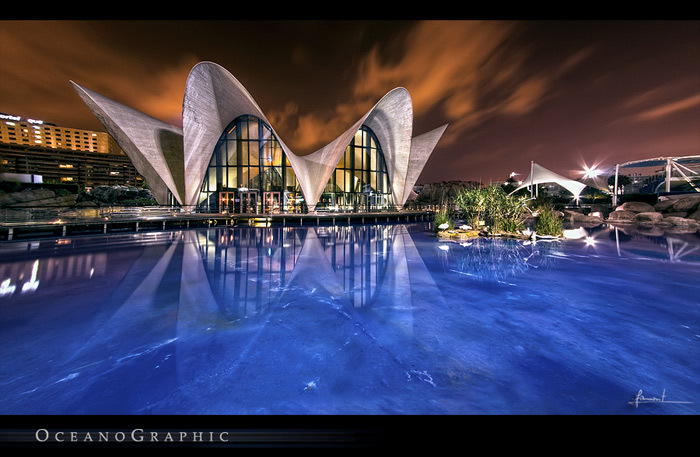 All you need to do is book the Valencia Night Tour. Our Green Tour leads you to the natural spots of the very green city of Valencia; this refueling experience is the perfect event after a busy day. The Grand City Tour is our most comprehensive one and gives you a lot of freedom in customizing this tour to your special needs. All of the City of Valencia on Segway in one tour! It couldn’t get any better! If you feel like walking, you can book one of our Valencia Walking Tours in the old town. Exploring one of the biggest old cities of Spain slowly is recommended, because there is a lot to see and a lot of history to be discovered. Group tours are also available and we offer a 10% discount for groups of 10 persons and 20% discount starting with 20 persons. But paying less is not the only advantage when booking a group tour. Team building is another important aspect so that our group tours benefit your group members and results in a more effective and relaxed team. This makes it interesting for companies, schools, birthday parties, family reunions and social groups. 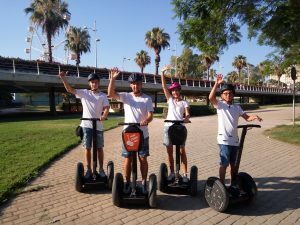 Are there any more reasons to book your Segway trip Valencia with Segway Anyway Valencia? As you might have guessed, there are numerous reasons! Firstly, our guides speak more than six languages, are well trained and know the city by heart. They will lead you not only to the main tourist attractions, but will show you corners of the city, that are known only to locals. Then there is the free go pro video, which allows you to follow your holiday experience at home. Every time you feel stressed out and ready for a holiday, you can watch your personal holiday video and dwell in memories of a relaxed and fun time. Furthermore, we provide additional training time to make you feel comfortable and safe with your Segway. This extra time will not be charged. Last but not least, we offer customized tours for your very unique way to discover Valencia on Segway. So let us convert you to a Segway fan! Book your Valencia Segway tour with Segway Anyway Valencia and let us enjoy a memorable summer day in the city of light!